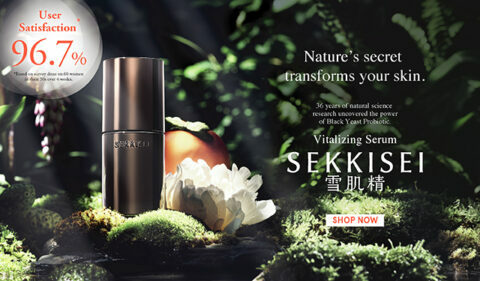 Inspired by untouched, luminous snow, SEKKISEI is a global skincare brand infused with the perfect balance of ancient Asian herbal remedies known for highly effective moisturizing and skin-brightening benefits. This "translucency recipe" contains carefully-selected ingredients from 100 types of plants, and skin is left hydrated with a lit-from-within radiance. For over three decades, these fresh, gentle formulas have been passed from mother to daughter and work to improve skin tone and texture through continued use for total clarity of complexion.